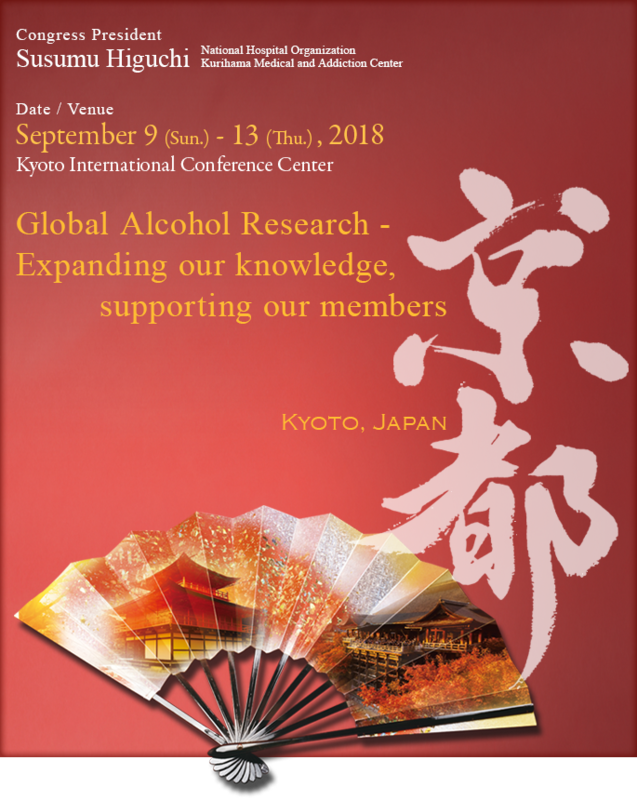 Thank you for your support in attending ISBRA 2018 in Kyoto recently. I am delighted to report that the Congress was a great success. There were 6 plenary lectures, 72 symposia, 6 ISBRA-WHO workshops, and 170 poster presentations, attended by nearly 500 registrants from 43 countries. The 13th International Symposium on ALPD was also held during the first two days. We are extremely grateful for your active participation, which was integral to the success of the congress. We also deeply appreciate your efforts in rescheduling your flights and transportation to be able to come to Japan, immediately after a major typhoon forced the closure of KIX airport to international flights and severely restricted domestic operations. On behalf of myself and the organizing committee members, thank you to all congress participants. I hope to see all of you again in New Orleans, USA in 2020. INFORMATION FOR PARTICIPANTS, INFORMATION FOR SPEAKERS pages opened. List of Accepted Poster Abstracts has been updated. SOCIAL EVENTS page has been updated. CALL FOR ABSTRACTS FOR ISBRA-WHO WORKSHOP has been closed. SPONSORSHIP page has been updated. CALL FOR SYMPOSIA & ABSTRACTS have been closed. CALL FOR ISBRA-WHO Workshops, AWARDS is still available. GENERAL INFORMATION page has been updated. COMMITTEES page has been updated. ISBRA-WHO Workshops, AWARDS pages have been updated. CALL FOR SYMPOSIA & ABSTRACTS page has been updated. CALL FOR SYMPOSIA & ABSTRACTS, REGISTRATION page has been updated. WELCOME MESSAGE, CONFERENCE VENUE, ABOUT KYOTO pages have been updated.